Caribbean Lifestyle Media-In the beginning, authentic Dancehall ruled and the people had something dance to. In the beginning, Dancehall producers were strategic in how they released their projects. 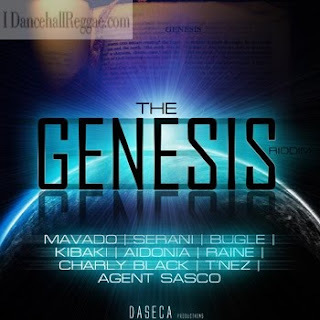 Daseca is doing just that with the latest Riddim release. Daseca is said to be taking a different approach with their latest project. Daseca-instead of flooding the marketplace with CDs and Free download links-this project will only be released to select few DJs. The entire project will be available via digital retail like Itunes on March 23. At Caribbean Lifestyle Media we believe this makes sense, especially in a market where music is readily available. The incentives to purchase music is low, as a result the market suffers. We would have love to provide you with a sample. However, David Harrisingh (One Third of Daseca) provided us with this explanation "What has become the norm for Jamaican producers is to literally give away the music as soon as it is finished, "Email blasts, social networking sites, blogs, etc ensure the music ends up in the hands of any and everyone who wants it, and they don't have to pay for it. So while it creates a hype and give artists hit songs and generates shows and dub plate income for them, the producer has to pretty much wait on the few remaining labels who deal with Reggae to license a song here or there for a compilation. Whereas in the past labels would take the whole riddim from a producer, that has stopped because of poor sales and because our music has never been marketed properly causing it to end up in a mire. Producers are needed in the business just as much as artists so we have to find a way to survive." Well taken David, with this in mind support our Caribbean shows and purchase legal music. In turn, we hope Dancehall artistes create good quality production that is deserving of our dollars. The Genesis Riddim was premiered on Hot 97 by Bobby Konders and Jabba last week. Other markets will get to preview the release in strategic markets in coming weeks. Craig Harrisngh added "While we are realistic about the numbers we expect to do, we have to take a stance and try and regulate our ting, "We are also expecting it to leak as soon as it is available, perhaps even before, but for us this is about trying to make a difference. We hope every producer takes a look at what we are trying to achieve and does something about it too so we can help change the culture of how we market and sell our music, because we are all feeling it. Thats why we called the riddim Genesis, because for us and we hope for the business as a whole, it signals a new beginning."